Olympia, London, used as the venue for Turkish expats voting in the 2015 general election between 30 and 31 May 2015. Credit – Nub Cake. Wikimedia Commons. At one level, the Brexit campaign seem to have shot themselves in the foot by portraying Turks as criminals and terrorists. At another level, such hostile and racist arguments seem to be discomforting and offending the Turkish-speaking population in the UK. At the very least, one can confidently argue, such xenophobic campaigns do not help Turks to develop/further a sense of attachment to Britain and instead reinforce racial prejudices. Still, I would like to argue, there are important mechanisms within the Turkish-speaking community in Britain that promote a sense of belonging and integration. The Dialogue Society, a community organization founded by second generation Turkish/British Muslims who are inspired by prominent Turkish Islamic scholar Fethullah Gulen, seems to be one of the mechanisms working for social advancement and integration for all (especially Turks). 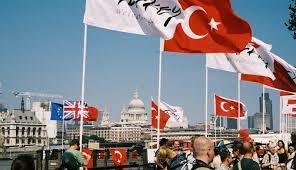 The Dialogue Society is a London-based autonomous organization founded by British Muslims of Turkish background. The organization seeks to promote and work for an interconnected and cohesive society. To this end, followers of the organization have held hundreds of community outreach events across the UK, such as community engagement breakfasts, thematic dinners, Ramadan Fast-Breaking Dinners, Noah’s Pudding Celebrations, visits to state institutions and other communities, and many other civil society activities. 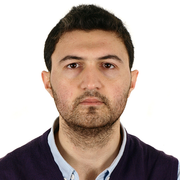 In research I conducted with the organization in 2015, I found that unlike many political Islamist organisations in Europe, the Gulen-inspired Dialogue Society (DS) believes that integration and developing a sense of attachment towards the country of settlement is not just important and necessary, but also a “moral responsibility” placed on everyone (i.e. Muslims). Firstly, they believe that people are responsible for coming out of their comfort zones to engage with and build bridges between people of different dispositions. “Coming out of comfort zone” implies that people cannot be integrated into, nor connected with, the place of residence if they sit at home all the time or socialize with people like them; instead, they need to be proactive, that is, they need to come out of their ethnic enclaves and show some effort to engage with people of different culture and faith, and the wider society. A Turkish festival in London. Credit – Wikipedia, Creative Commons. Understandably, the Dialogue Society does not only focus on the Turkish community. It also seeks to reach out to people of various backgrounds from different strata of the wider society. In November 2014, for instance, they co-organized (with the Centre for Trust, Peace & Social Relations of Coventry University) a workshop on ‘Sense of Belonging in a Diverse Britain’ by bringing together various experts to discuss issues related to British identity. The proceedings of the workshop were later published, and form an important contribution to the national debates on Britishness. Rather than merely focusing on preserving Turkish identity of Turks residing in the UK, the organization seeks to advance a shared national identity where they can navigate their ways without losing their identity of origin. 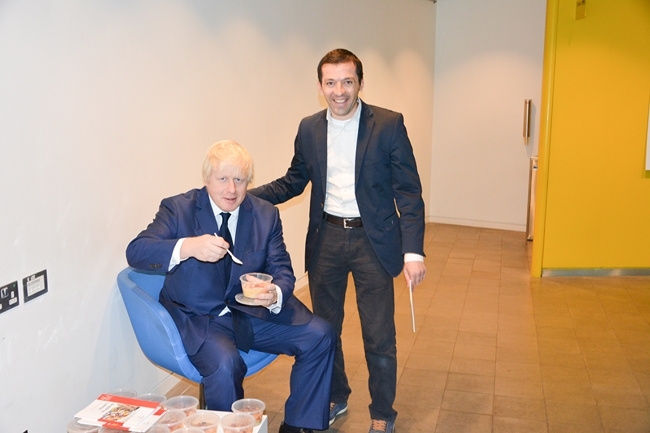 This is certainly a step forward for the future of multi-ethnic Britain. In summary, the debates around Turks in Britain, related or unrelated to the Brexit campaign, should not be hindered by limited, mostly superficial, knowledge, but must be underpinned by up-to-date research. The Turkish-speaking community in Britain, now that their number exceeds half a million, should be seen as a dynamic and important ethno-religious group. The Gulen-inspired Dialogue Society, as a mechanism from within the Turkish community, should be encouraged and collaborated with further as they carry out their work on integration and social advancement. The views expressed here are personal views and do not reflect the views of the funders of our research or of PolicyBristol. This entry was posted in Global political economy, Governance and public services, Research, Social change and diversity and tagged democracy, EU, immigration, integration, multiculturalism, religion, Turkey by policybristol. Bookmark the permalink.